True underground black metal bands used to pride themselves on a few things: sparse instrumentation, evil vocals, and what used to be termed “basement production”. 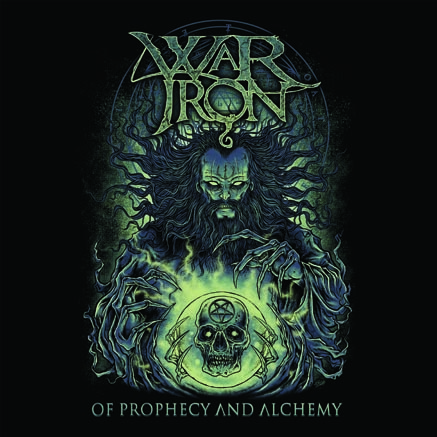 True to form, but from 2013, we’re introduced to War Iron, a band from Ireland. Their EP, Of Prophecy And Alchemy, plods along in a doomy, massively overdriven fashion. The band’s musical goals are clear: have fans enjoy some abrasive vocals, slow tempos, and simplistic ‘Sabbathy’ riffs. Two songs clock in at eight minutes each. Three different recording scenarios oddly give each song it’s own mix. The band could be massive with some studio polish.